A new energy drink that crashed runway parties last week is called Cocaine, and its makers are billing it as “the legal alternative” to the white powder drug. 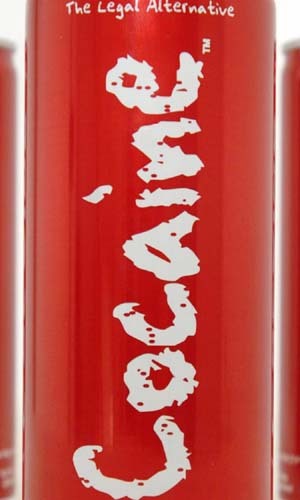 The drink’s maker maintains that “doing Cocaine” – the beverage, that is – gives you a bigger and better high without the crash that other energy drinks cause. They say a high hits you within five minutes, followed by a caffeine boost 15 minutes later. But hold on – the ride lasts five hours and the concoction is “350 percent stronger than Red Bull,” they claim. I’m holding out for Bathtub Crank.